Here is Jio to light up August with its latest exclusive offers. 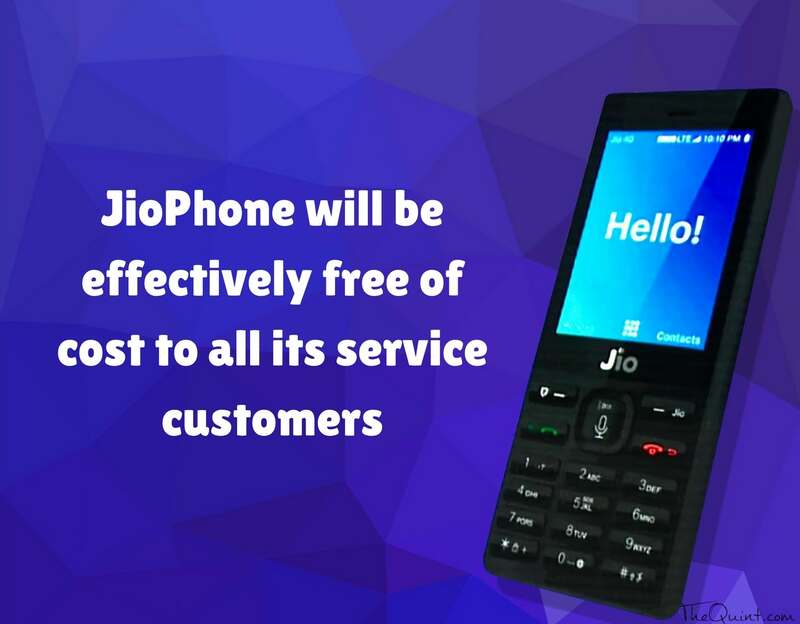 After the launch of JioPhone, Jio continues to surprise us with the Jio 15th August offers. The Jio 15th August offers is based on a digit wallet called the JioMoney. JioMoney is a growing app just like PhonePe or Paytm Offers. 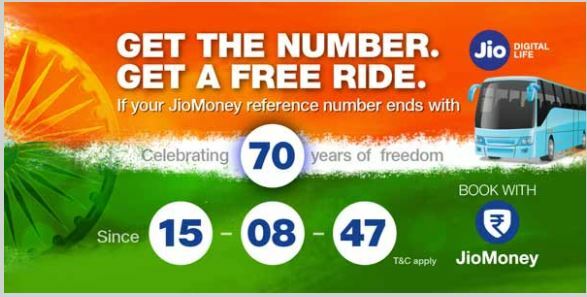 On account of Independence Day, Jio has launched various offers that can make this month’s payments more profitable. The Jio 15th August offers vary from Uber discounts to BookMyShow vouchers. You can also get a free Jio Phone this month. JioMoney is a digital wallet like Paytm and PhonePe. It is an app downloadable on Android or IOS that will allow you to make digital transactions safely. You can use the JioMoney App to pay your electricity bill, water bills etc. Not only it allows you to make secure payments but also book train tickets, Uber cabs, Bookmyshow tickets etc. You can also send and receive money from other users who use JioMoney app. This smart app has launched offers on account of Independence Day. This offer is valid from 1 August 2017 to 31 August 2017. You need to book bus tickets on the JioMoney App. If last two digits of RRN Number (JioMoney Reference Number) printed on M-ticket who has booked the bus ticket has 15 or 08 or 47 or 70 will get a cash reward. The maximum cash reward will be same as the value of bus ticket booked. This offer is for the users who are booking bus tickets on the JioMoney app for the first time. 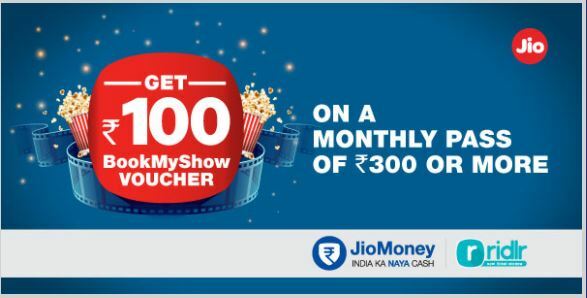 If it is your 1st bus ticket booking on the JioMoney app, you will get a Rs 100 BookMyShow Voucher. The coupon will be updated in the offer section of the Jio Money app after the successful transaction. This offer is valid from 29 July 2017 to 11 August 2017. This offer is only applicable to users who get an SMS or the offer notification from the JioMoney app. If you have completed a transaction on Postpaid Bill Payment of Landline or Postpaid mobile or Data Card or Electricity or Gas through JioMoney app for Rs 100 or more, then you will get the Uber offer. You will get an Uber voucher worth Rs 50. 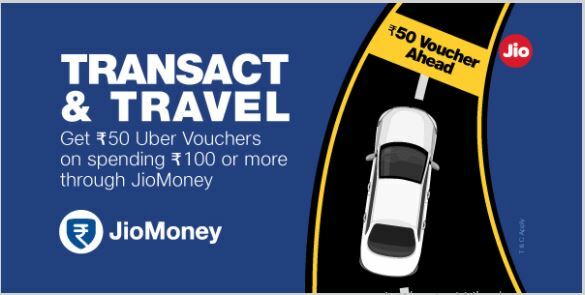 If you have completed a transaction on Bill Payment or Recharge or In-App Bus Booking or Online Payments on Merchant’s website or Pay at Shop for the value of Rs 100/- or more through JioMoney app, you will get the Uber Voucher. This offer is valid from 20 July 2017 to 19 August 2017. This offer is applicable for users who are paying Ola Ride through JioMoney app for the first time. You need to pay Rs 75 or more on Ola ride through JioMoney App to avail this offer. You will get a Rs 100 Amazon voucher. You can avail this Amazon offer only once. This offer is valid from 3 June 2017 to 31 August 2017. 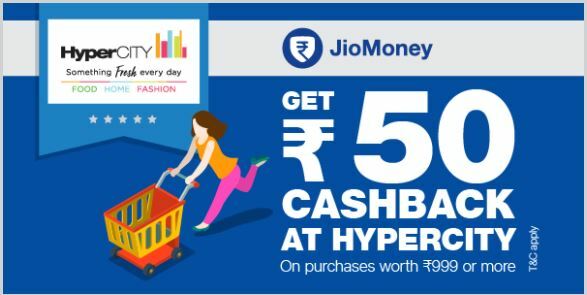 If you have completed a transaction at any HyperCITY outlet through JioMoney app, you can avail this offer. You need to pay Rs 999 or more at HyperCITY outlet. You will get a cashback of Rs 50. You can avail this offer only once. The offer availability varies for different sites. On JioMoney App, tap on ‘Offers and Loyalty’. Then choose ‘ Cashback deals’. you can browse through the various offers and make payments through any mode. You will get cash back credited in your JioMoney account. This offer is valid till 15 August 2017. This offer is valid for the users you make payment on BigBask through JioMoney app for the first time. You can get 20% off on transaction of Rs 800 and more. You will get a maximum discount of Rs 200. Use latest Bigbasket coupons and get more discount. This offer is not applicable if you buy edible oil, ghee, baby foods, feeding bottles, Pilsbury & Ashirvaad Atta, Amul & Wagh Bakri Tea on BigBasket. This offer is valid from 28 April 2017 to 31 August 2017. 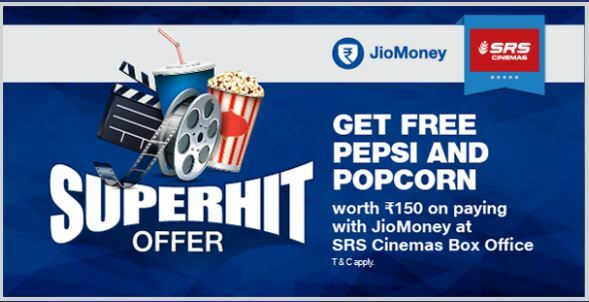 This offer is applicable if you purchase cinema ticket for Rs 200 or more at SRS Cinemas Box Office through JioMoney. In this offer, you will get a free Pepsi + Popcorn combo worth Rs 150. This offer is valid till 31 August 2017. 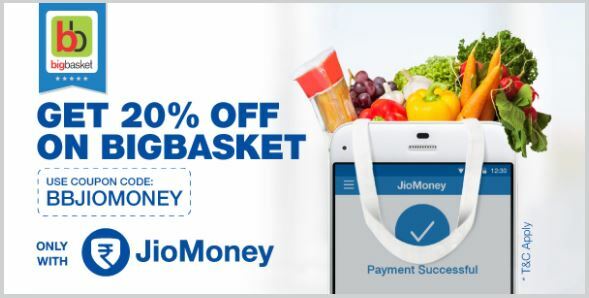 This offer is applicable if you have completed a transaction of goods purchase using JioMoney. Offer is provided by Gadgets Now. 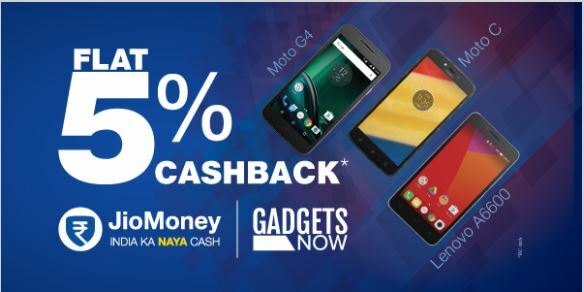 You will get 5% cashback ( Maximum of Rs 150) on your JioMoney Account. After all these amazing offers we surely know that your love for Jio might just have doubled or tripled. Don’t waste time in losing these offers. Now travel, eat, entertain or shop all with JioMoney and account back the cash back in its utmost. Life is easy and full of freedom to spend and travel all with JioMoney. Grab before someone else gets hold of your favourite offer efore you do. Have an amazing Independence day with your loved ones. Happy Independence Day!! This Independence day many other e-stores are giving huge offers and discount on varites of products like Amazon Great Indian Sale, Flipkart Big Freedon Sale, Bigbasket Offers, Paytm Offers and much more. Flipkart Big Freedom Sale is On! !